When it comes to fitness, age is just a number. What activities do you want to do that you cannot do now? What activities do you want to continue doing that seem to be getting harder? If you are over 40, your body has had its share of challenges, from injuries to illnesses, and that makes you want to work harder to stay well and strong. You have a lifetime of experiences, adventures, and skills to draw on to overcome obstacles and make your goals your reality. Movement throughout the day, every day, is the single best way to set yourself up for healthy and active aging. The behaviors and choices we make every single day accumulate and are reflected in our bodies’ wellbeing. Of the debilitating conditions that can develop as we age, such as loss of muscle mass and bone density or disrupted metabolism, many can be prevented, or helped, with some simple lifestyle changes, and among those changes, exercise is king. As a qualified, professional, fitness and nutrition coach I can help you find the unique path to fitness that will work FOR you rather than against you. No matter your fitness level, if you have the desire to move better, feel younger and stay active, you are in the right place. My Fitness For Life program offers you a personalized fitness program based on the principles of functional movement and active aging. After completing a movement screen and activity history I will put together a custom program for you using whatever equipment and space you have available. My programming is designed to optimize the key movement patterns we all need to move well throughout life: squatting, lunging, stepping and balancing. Adequate hip and shoulder mobility work will be incorporated, and I draw on pilates and yoga to build core strength and overall stability throughout the body. My goal is to improve your resilience as you progress towards your goals. 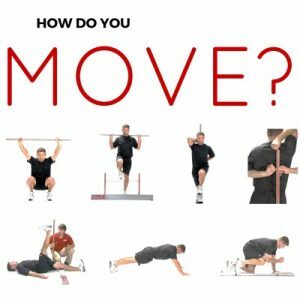 Functional movement assessments to optimize and personalize your fitness program. Regular meetings via phone and Skype or Facetime to review your progress and keep you on-track. I am having trouble finding time to work out now. How does this help me? Freedom to roam: do your workouts or call in from wherever you are in the world. If you haven’t been scheduling time for your fitness on a regular basis, there will probably be an adjustment period. It is important to acknowledge that adding something new to your schedule now means you might need to give up something else. To prepare for Fitness for Life you will want to think through what you might need to change in your schedule, and if this will affect anyone else in your life, in order to make this work for you. It helps to have someone hold you accountable. That would be me. I've never exercised before. Will this work for me? It is NEVER too late to get started, and everything you start doing now will benefit you in the future! If you want to be active and healthy, this program will absolutely help you become more active and more healthy. In fact it is a great place to start! I am struggling with past/present injuries. Would you still work with me? If you are currently nursing any injury, please get cleared for activity by a medical professional before seeking to work with me. Otherwise my answer is…let’s talk about it. If you are fresh out of physical therapy and wanting to rebuild your fitness program, yes I can work with you. If old injuries are starting to nag you, I might be able to help you. Even if I don’t think I can work with you effectively I would be happy to try to point you towards a professional, wherever you are, who can help. I have some medical issues. Are you experienced working with someone like me? I have experience working with clients with a number of conditions, including cancer (in remission), joint replacements, high blood pressure, metabolic disorders, bad backs, and arthritis. I would be happy to discuss any medical issues you may have, and learn how the condition and the treatment affect you and your ability to stay active. I can coordinate with your medical team to provide the most effective physical activity and nutrition coaching support. In the end we both need to feel confident that working together is the right course of action and that happens with a real conversation, so please contact me directly. If we are working together online I can coach you anywhere you are at a time convenient for both of us. If you are in the vicinity of Mammoth Lakes, California let me know and we can find an arrangement that works for both of us. What technology do I need to have for online coaching? If you can use a computer, send an email, and talk on the phone, we can work together. As you can imagine, prices will vary depending on the type of fitness programming best suited for you. Training with me in-person starts at $75/hour. On-line, pre-programmed workouts delivered via email or app range from $49 – $479/month depending on how much coaching support you need (assessments, form, and accountability checks). Hybrid coaching is a cool option also – where you can meet with me when you’re in Mammoth or via FaceTime AND take your programs with you wherever you are via app. Please contact me for more details or to discuss the possibility of in-person or hybrid training.